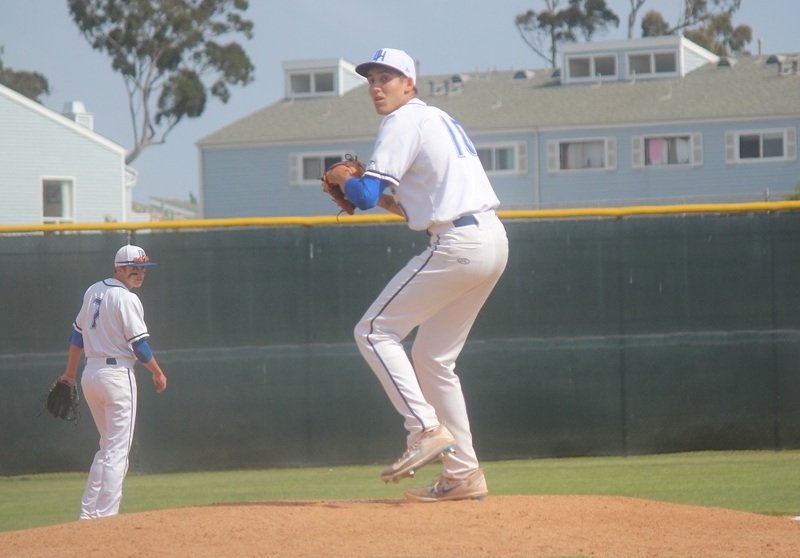 Former Dana Hills ace Hans Crouse was scheduled to make his anticipated short-season A debut with the Spokane Indians on Thursday, June 21. Results of the game against the Tri-City Dust Devils in Pasco, Washington were not available at press time. Crouse, a second-round pick of the Texas Rangers in the 2017 MLB Draft, was set to be the Opening Day starter for Spokane last Friday, June 15 in Spokane against the Boise Hawks. Crouse, 19, warmed up in the outfield but cut a finger on his throwing hand on a seam of the baseball while throwing. The Indians chose to be cautious and scratched the right-hander from his scheduled start. Crouse, the No. 4 prospect in the Rangers system, will be making his true minor-league debut with the Indians. After being drafted in 2017, Crouse went to play rookie ball in the Arizona League. The hurler thrived in his 10 games with the Rangers’ rookie team with a 0.45 earned run average and 30 strikeouts. Crouse started six games and threw 20 innings while allowing two runs on seven hits. He held opponents to a .130 batting average. Williams is in his third season of A ball in the Philadelphia Phillies system. The third baseman played a rookie season in the Gulf Coast League after being drafted in 2015, played short-season A with the Williamsport Crosscutters in 2016, moved up to the Lakewood BlueClaws for full-season A and is currently with the Advanced-A Clearwater Threshers. Williams has played 49 games this season and sports a .233 average with 19 RBIs and five home runs. Taylor has moved a bit in his six years in the minors, but he got a shot at the AAA level this season. Taylor was drafted by the Pittsburgh Pirates in 2013 and is now in the New York Mets system. He began the year with the Advanced-A St. Lucie Mets and got called up to the AAA Las Vegas 51s on May 28. The left-hander played one game in Las Vegas where he threw six innings and allowed three hits and no earned runs to pick up a victory. Taylor was sent back to St. Lucie on May 30. Maris has moved up each year in the Tampa Bay Rays system since signing in 2015. The second baseman played rookie ball in the Appalachian League in 2015, full-season A with the Bowling Green Hot Rods in 2016, Advanced-A with the Charlotte Stone Crabs in 2017 and after starting 2018 in Charlotte, moved up to the AA Montgomery Biscuits on June 7. In nine games with the Biscuits, Maris has hit .379 with eight RBIs and three home runs.